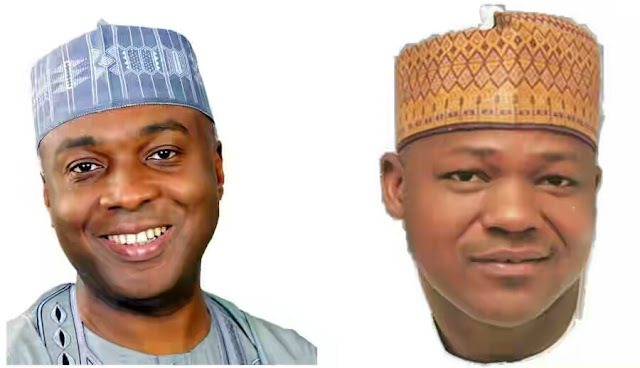 The Senate President, Abubakar Bukola Saraki, Speaker of the House of Representatives, Yakubu Dogara and other principal officers have rejected the N10 billion proposed by the Federal Capital Territory Administration (FCTA) in the 2016 budget for the construction of their official residences. It was learnt at the weekend that the principal officers were all still living in rented accommodation in the territory.Chairman, House of Representatives Committee on Media and Public Affairs, Abdulrazak Namdas who made the revelation in a statement yesterday said the Eighth Assembly “is very conscious and sensitive to the present economic woos bedeviling the country and has responded positively by making the much needed sacrifices. For example, President of the Senate Dr. Abubakar Bukola Saraki and House Speaker, Rt. Hon. Yakubu Dogara, rejected N10 billion the Federal Capital Territory Administration proposed in the 2016 budget for building of official residences of Principal officers. They are all living in rented accommodation. “The National Assembly, has also reduced its budget from N150 billion to N115 billion. Even though it is always erroneously and albeit mischievously insinuated that this money is shared among the 360 Reps and 109 senators. What is more tragic is the failure of intellectuals to realise that N150 billion some eight years ago is not the same amount now. Inflation has reduced that amount by over 50%. Sundry issues including delay in the provision of infrastructure in the new official residence built by FCTA for National Assembly presiding officers at Maitama Extension (renamed Goodluck Jonathan District) forced then Senate President, Speaker of the House of Representatives, Deputy Senate president and Deputy Speaker during the Seventh Assembly to reject the quarters. Then FCT Minister, Bala Mohammed disclosed that the construction of the N3 billion new official accommodation by construction giant, Julius Berger at the site located behind the Lungi Military Barrack in the city centre was discontinued. In March Mohammed indicated that the then President of the Senate, David Mark, his Deputy, Ike Ekweremadu as well as the Speaker of the House of Representatives, Aminu Waziri Tambuwal and his Deputy, Emeka Ihedioha will not move into the new residence being built for presiding officers of the National Assembly at the Three Arms Zone before the completion of the Seventh Assembly in June 2015. He disclosed that the new quarters being built by FCTA for the four presiding officers of the parliament will be ready for occupation after the inauguration of the Eighth Assembly.